Maria Isabel Andrade, a co-recipient of the 2016 World Food Prize, has 30 years of working experience in Africa. Her research interests include technology transfer, breeding seed systems and the amelioration of value chains for income-generation. 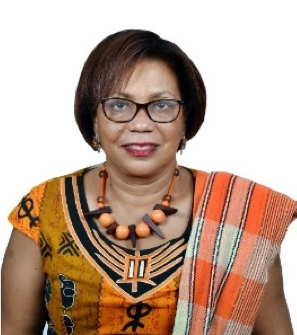 Maria is highly skilled in training other breeders, facilitating knowledge sharing and constructing communications platforms to heighten the visibility and impact of sweetpotato in Sub-Saharan Africa to reduce Vitamin A deficiency and improve markets and crop production. Maria, from Cape Verde, has spent the last 22 years working in Mozambique. The first 10 of these, she served as a regional cassava and sweetpotato agronomist for the Southern Africa Root Crop Research Network, a program run conjointly by the International Potato Center (CIP) and International Institute for Tropical Agriculture (IITA). From 2002-2006 she coordinated a five-year IITA/CIP project on Accelerated Multiplication and Distribution of Healthy Planting Materials of the Best High Yielding Varieties of Cassava and Sweetpotato. Over one million farmers received improved planting material under this project in 98 of the 141 districts of the country with Maria collaborating with 124 partners to achieve this objective. In 2006, she joined CIP to manage the SASHA Southern Africa Sweetpotato Support Platform bringing together sweetpotato breeders from Malawi, Zambia, South Africa, Madagascar, Mozambique and Angola, with a research emphasis on breeding drought-tolerant sweetpotato varieties. She has released 30 bio-fortified sweetpotato varieties of which 20 are drought tolerant. The Mozambican government recognizes bio-fortified sweetpotato as a food and nutrition security crop. These drought tolerant varieties have reached a million farmers who have adopted them and are making profits selling the roots and vines and processed products. Over the last 15-20 years, crop research and the development of the seed systems as resulted in the increase of the yield, from about 5-6 tons per hectare in 2003 to almost 14 tons in 2016 (FAOSTAT, 2016) and 23% of all sweetpotato grown in Mozambique is bio-fortified. In recognition of the significant contribution OFSP can make to food security and nutrition, Government of Mozambique has included Orange Fleshed Sweetpotato (OFSP) in their country investment plan. Also, In the nutrition sector, OFSP has been adopted as a mainstream technology for combating vitamin A deficiency by the Technical Secretariat for Food Security and Nutrition in Mozambique (SETSAN) and in the country’s strategy in the Scaling Up Nutrition (SUN) movement. Maria also worked closely with other CGIAR scientists in the region to capitalize on potential synergies to be gained from joint planning. In the Platform for Innovation of Agriculture and technology transfer in Mozambique she represents all CGIARs members of this platform (8). Today, Maria serves as CIP’s country manager in Mozambique, over and above her scientific leadership role. Maria served as the vice president for fund raising for the International Society for Tropical Root Crops (ISTRC) global for five years. She is also in the board of Directors of Alliance for Green Revolution in Africa and Member of External Panel review of Next Generation Cassava Breeding Project, project of Cornell & IITA. Key recognitions for her sweetpotato breeding work include: Appreciation award from ISTRC-AB for her outstanding leadership & contribution on RTC in Africa, outstanding Alumnus award from NCSU, 2016 World Food Prize co-laureate and 2017 Swaminathan Award for Environmental Protection. 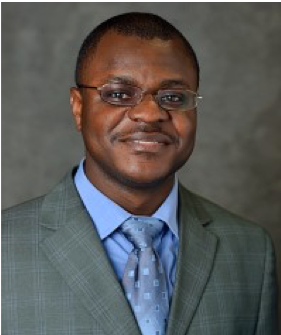 Dr. Felix Kwame Yeboah is an Assistant Professor of International Development and a member of Food Security Group at Michigan State University. In this role, he conducts agricultural and food policy research and advises various development-related initiatives in Africa. He has expertise in multiple areas of social policy including agricultural and food system transformation, natural resource management, and youth livelihood issues in Africa. For the past decade, he has provided critical analysis to inform a range of social policies both in the US and in Africa. Notably, his research informed The MasterCard Foundation’s strategies promoting youth employment in Africa’s agri-food system; the State of Michigan’s effort to reduce non-point source pollution in the Great Lakes; and strategic change initiatives advancing solid waste recycling and energy conservation at Michigan State University. More recently, he served as the lead author for the 2018 Global Food Security Report, Youth for growth: Transforming Economies through agriculture, commissioned by the Chicago Council on Global Affairs to advise the US government’s strategies addressing youth employment challenges in developing countries. His research was also featured in the 2016 Africa’s Agriculture Status Report, a flagship report of the Alliance for a Green Revolution in Africa. In 2012, he was recognized as a Milton H. Steinmueller scholar of Natural Resources and Environmental Policy and a George and Nancy Axinn fellow of International Development. Dr. Yeboah holds a Masters and Ph.D. in Environmental Policy and International Development, with specializations in Environment and Resource Economics from Michigan State University, USA and a Bachelor’s in Natural Resource Management from Kwame Nkrumah University of Science and Technology, Ghana, West Africa. He was also a John M. Gunn Exchange Scholar at Washington and Lee University, Virginia. 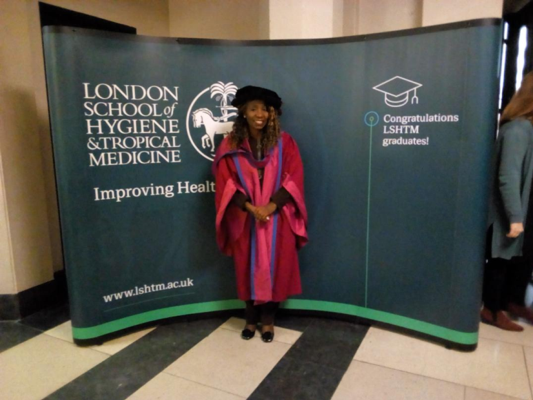 I, personally, and all of us at AJFAND wish to take this opportunity to congratulate my long-term friend and mentee, a truly special and brilliant young woman, now Dr Emily Teshome for attaining her PhD, getting crowned on March 5, 2018, at the prestigious London School of Hygiene and Tropical Medicine. I have known Emily from the time she attained her first degree and have been able to follow her career since that time. I am very proud of her; I know she has a great future ahead of her. She is a serious worker and now has a cap as a top nutrition professional. She has been a reviewer for AJFAND for quite a number of years and has stayed dedicated to-date. CONGRATULATIONS once again Emily and stay blessed into the future. Prof Ruth Oniang’o, your Mentor. Dr. Emily Mwadime Teshome has a PhD from London School of Hygiene and Tropical Medicine, London, a BSc degree in Agriculture and Home Economics from Egerton University, a MSc. degree in Applied Human Nutrition from University of Nairobi, and an MSc. degree in Community Health and Health Management from University of Heidelberg, Germany. Dr. Teshome has worked with the Government of Kenya, specifically Ministry of Agriculture, UNICEF, UN-FAO and provided technical support to government departments, AED/USAID, WFP, UNAIDS, KfW, National and International NGOs in Kenya, Somalia, Ethiopia, Uganda, Malawi, Eritrea, and The Philippines. She is also an associate lecturer at Maseno University, faculty of public health. She is a Program Development Advisor, and her main focus is in the area of micronutrient supplementations, nutrition and community health assessments (including monitoring and evaluation), planning and implementation of related programs, training, formulation and advancement of policies and development of guidelines for nutrition and community health. 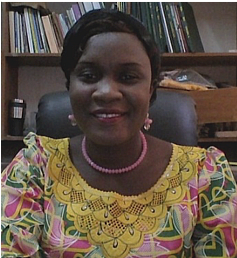 Since 2000, she has been a technical reviewer for African Journal for Agriculture Food and Nutritional Sciences. In addition, she is an active member of the International Nutrition Group of the Medical Research Council, London -UK. Sokona Dagnoko is a National of Mali, West Africa. Despite school shut-offs by the military government that she experienced in the eighties in her country, she never diverted from her main goal – advanced studies in Agriculture. 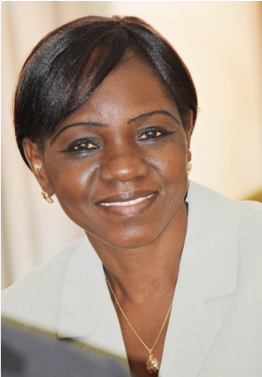 This attitude led her to graduate from the “EcoleNormaleSuperieure” of Bamako (Mali), in Biology in 1987. Later on she obtained her Master of Science (MPhil) in Animal Science with major in Nutrition from Laval University, Quebec (Canada). In 2008, Dr Dagnoko obtained her PhD in Plant Breeding and Genetics with minor in International Agriculture from Cornell University, Ithaca (New York). Her expertise in conventional and molecular plant breeding was acquired mainly from both the Cornell Maize Breeding Program and the Cornell Institute of Genomic Diversity. Dr Dagnoko’s working experience includes teaching Animal Nutrition at the university; the coordination of the CORAF/WECARD’s projects of “West Africa Seed Program”in Mali; the “Rice Seed Scaling Up project” across four countries; International Research Scientist at AVRDC – The World Vegetable Center; Scientific Officer at the Sorghum Breeding Program of ICRISAT/Mali; Senior Evaluation Specialist of the “Integrated Initiative for Economic Growth” Project of USAID/Mali; and Lead Consultant for the Final Evaluation of the Fonio/Sesame value chain Project funded by the USDA and implemented by the International Relief and Development (IRD) in Mali. Since 2015, she serves for the RUFORUM as a member of its Technical Committee and recently as a member of the Steering Committee of its TAGDev project (Transforming African Agricultural Universities to meaningfully contribute to Africa’s Growth and Development) funded by the MasterCard Foundation. Dr Dagnoko is currently the Country Director of the Sasakawa Africa Association office in Mali and since 2011, and the Founder of SENESO, an agricultural research and development organization. Dr. Akeem Ayofe Akinwale is an Associate Professor and Acting Head of the Department of Employment Relations and Human Resource Management, University of Lagos. He was Sub-Dean of the Faculty of Business Administration, University of Lagos. He earned his bachelor’s degree in sociology from Lagos State University in 2001 and doctorate in industrial sociology from the University of Ibadan in 2009. Since 2002, he has held full-time and visiting teaching positions at the University of Ibadan, Covenant University, Landmark University, Bowen University, Lagos State University, and Olabisi Onabanjo University. He has attended notable conferences and workshops in Africa, Europe, South America, and North America. Dr. Akinwale is the editor of the Unilag Journal of Employment Relations and a peer reviewer and member of the editorial board of several journals. His areas of research interests include Entrepreneurship, Industrial Relations, Human Resource Management, and Development Studies. Dr. Akinwale is also the Nigeria consultant, on a research project titled “Bringing Food Security to Scale in East and West Africa: Understanding and Supporting the Role of Intermediary Organisations in Inclusive Business Networks, for a research consortium comprising Wageningen University of Research (WUR), International Fertilizer Development Centre (IFDC), International Centre for Development-Oriented Research in Agriculture (ICRA), Base of the Pyramid Innovation Centre (BoP), and Association of African Business Schools (AABS). Dr. Akinwale is a fellow of the International Council for Science (ICSU) and the International Social Science Council (ISSC) based in Paris, France. He is a Laureate of the Council for the Development of Social Science Research in Africa (CODESRIA), Senior Research Fellow of the French Institute for Research in Africa (IFRA), an Officer of the Nigerian Young Academy, a member of the International Sociological Association (ISA), Acting Secretary of the Nigerian Industrial and Employment Relations Association, and Vice-President of the Lagos Studies Association (LSA). Akinwale, A. A. (2018). Human resource management practices across cultures. In O. A. Ogunbameru, A. L. Adisa, & D. S. Adekeye (Eds. ), Cross-cultural management: A multidisciplinary approach (pp. 279 – 317). Ile-Ife, Nigeria: Obafemi Awolowo University Press. Akinwale, A. A. (2018). Intrapreneurship and capital accumulation knowledge among trainees in the Nigerian informal economy. In Ioana A. Horodnic, Peter Rodgers, Colin C. Williams & Legha Momtazian (eds. ), The informal economy: Exploring drivers and practices (pp. 211-228). New York: Routledge. Akinwale, A. A. (2016). The influence of youth agency on cultural development in Africa. Africology: The Journal of Pan African Studies, 9(4), 131-145. (California, USA: California Institute of Pan African Studies). Akinwale, A. A. (2015). The relevance of African diaspora in Britain: Implications for development in Africa. In Massimo Pilati, Hina Sheikh, Francesca Sperroti & Chris Tilly (Eds. ), How global migration changes the workforce diversity equation (pp. 55– 80). Newcastle, UK: Cambridge Scholars Publishing. Solaja, M. O. & Akinwale, A. A. (2015). Effect of work systems and workplace hazards on employee’s behaviour. Ibadan Journal of the Social Sciences, 13(1), 45–58. (Ibadan, Nigeria: Faculty of the Social Sciences, University of Ibadan). Akinwale, A. A. (2014). Development of entrepreneurial potential among undergraduates of a private university in Nigeria. African Journal of Science, Technology, Innovation and Development, 6(6), 519–528. (United Kingdom: Routledge). Akinwale, A. A. (2014). Labour unions’ struggle with neo-liberal policies in Nigeria. Bangladesh e-Journal of Sociology, 11(2), 89–104. (Bangladesh: Bangladesh Sociological Society, University of Dhaka, Ramna, Dhaka - 1000). Akinwale, A. A. (2014). Precarious working conditions and exploitation of workers in the Nigerian informal economy. Social Science Diliman, 10(1), 117–146. (Diliman, Philippine: University of the Philipines Diliman). Akinwale, A. A. (2013). Digitisation of indigenous knowledge for natural resources management in Africa. Africana, 6(2), 1–32. (Boston University,USA: African Studies Centre). Akinwale, A. A. (2013). Development crises and socioeconomic hardships in Nigeria. In ToyinFalola, Maurice Amutabi, & Sylvester Gundona (Eds. ), Africa after fifty years: Retrospections and reflections (pp. 279–296). New Jersey, USA: Africa World Press. Akinwale, A. A. (2013). Potentials for innovation and entrepreneurship development in Nigeria: Lessons from students of Landmark University. UNILAG Journal of Humanities, 1(1), 76–17. (Lagos, Nigeria: University of Lagos). Akinwale, A. A. (2012). The informal sector as a catalyst for employment generation in Lagos State, Nigeria. Journal of African and Asian Studies, 11(3), 315–344. (Leiden,Netherlands: BRILL). Akinwale, A. A. (2011). Livelihoods and environmental challenges in coastal communities of Nigeria. AJFAND: African Journal of Food, Agriculture, Nutrition and Development, 11(7), 5661–5673. (Nairobi, Kenya: African Scholarly Science Communications Trust). Akinwale, A. A. (2011). Language barrier as the bane of development in Africa. Africana, 5(2), 76–97. (Boston University, USA: African Studies Centre). Akinwale, A. A. (2009). Reviving African values: A viable alternative to disarticulated development. In T. Babawale, A. Alao, F. A. Omidire, & T. Onwumah (Eds. ), Teaching and propagating African and Diaspora history and culture. (pp. 265-285) Lagos, Nigeria: Centre for Black and African Arts and Civilization (CBAAC). Akinwale, A. A. (2009). Curtailing conflicts in the resource-endowed Niger Delta communities of Nigeria. Ibadan Journal of the Social Sciences, 7(1), 1–16. (Ibadan, Nigeria: Faculty of the Social Sciences, University of Ibadan). Atere, A. A. & Akinwale, A. A. (2007). Agriculture, rural economy and industrial development in Nigeria. Journal of Development and Policy Issues in Africa, 1(1), 72–83. (Ijebu-Ode, Nigeria: Tai Solarin University of Education). Akinwale, A. A. & Atere, A. A. (2006). Labour unrest and prevention of dictatorial governance in Nigeria. Nigeria Social Science Review, 7(1), 136–144. (Ijebu-Ode, Nigeria: Department of Political Science and Economics, Tai Solarin University of Education). Atere, A. A. & Akinwale, A. A. (2006). Gender, urbanization and socio–economic development. In H. I. Tijani (Ed.). Nigeria’s urban history: Past and present (pp. 27-44). Illinois, USA: University Press of America. Atere, A. A. & Akinwale, A. A. (2005). Global environment and human capital in new states. In A. O. Fadeyi & R.O.C. Somoye (Eds. ), African Perspectives on Globalization and Sustainable Development (pp. 39–45), Lagos, Nigeria: Faculty of Social Sciences, Lagos State University. 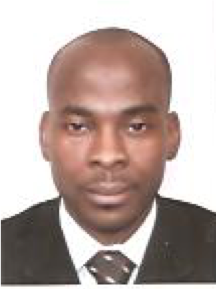 Dr. Akinwale is a social scientist who adds immense value to our review work, especially for manuscripts which fall in this category. We acknowledge his dedication and commitment in what he does. Editor, AJFAND. Pius was born in Kenya and holds a BSc. & MSc. degrees in Food science and Technology from the University of Nairobi. 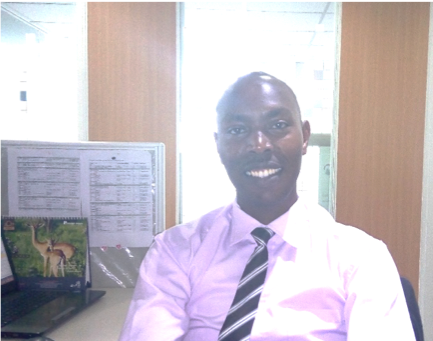 He is passionate about research, innovation, healthy living and systems quality management. He currently works as a senior quality analyst at Techno brain, a global IT firm famed for developing innovative software applications. His colleagues refer to him as the guy with a “sixth sense & third eye” due to his ability to identify systemic gaps, opportunities and grey areas. 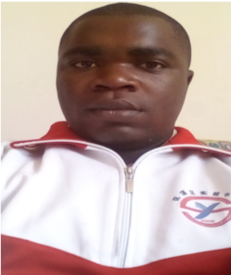 Besides being one of the most active members, he is the current organizing secretary of the Food Science and Technology platform of Kenya (FoSTeP-K). Fellowship award at the Chicago next generation delegation organized by Chicago council on global affairs, Washington DC USA, 2016. Emerging Leaders Network participant by (Institute of Food Technologists) IFT- Chicago, July 2016. Peer mentor, Emerging Leaders Network by (Institute of Food Technologists) IFT-Las Vegas, July 2017. Reviewer for AJFAND since 2015. Co-pioneer-young food science graduates mentoring program in partnership with Nestle. Tea technical committee member at Kenya bureau of standards (KEBS), 2018. LOC member for the PASAE International conference, 2018. Jury member, IFT ELN program 2018. When not in the office working, he enjoys nature walks or doing voluntary environmental conservation work. 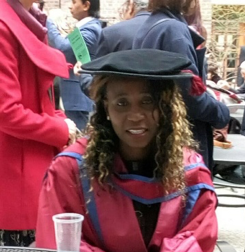 Dr Adebisi Favour AGBOOLA was awarded B.Sc. in Animal Science, M.Sc. in Animal Science and Ph.D. degrees in Agricultural Biochemistry and Nutrition, all from the University of Ibadan, Ibadan, Nigeria. She is a Lecturer in the same Department of Animal Science, University of Ibadan, Ibadan. In particular, Dr Agboola is a born scientist. This is evidenced by the crop of the students (both undergraduate and postgraduate) she has trained while she discharges her duties as a lecturer and project supervisor apart from the numerous publications (in refereed conference proceedings and learned book of journals) that attest to her academic competence, published in local and international journals. Her outstanding academic performance has endeared her to myriads of her colleagues who always find her level of intelligence an invaluable resource. Dr Agboola is sound, very dutiful and any well-meaning scientist in her area of specialisation will love to belong in the same research group with her. Aside, she has impeccable probity, exceptional leadership traits and she is respected among her equals. Dr Adebisi Favour Agboola was a visiting scholar at Prof. Layi Adeola’s Laboratory, Department of Animal Sciences, Purdue University, West Lafayette, US between October 2009 and January 2010. She is a versatile scientist who in no small measure strives daily to expand her professional horizon through networking and exchange of ideas with colleagues from all over the world in a bid to contribute her quota in poverty alleviation through nutrition and gender equality. Dr Agboola’s main areas of research are on evaluation of feedstuffs, amino acid availability and their inter-relationships with other nutrients, efficiency of amino acid utilisation in monogastrics. Her research programme is aimed at improving the efficiency of meat production in monogastric animals, value additions to non-conventional feed ingredients, least cost feed formulation and minimising environmental pollution. She has an on-going research on the determination of true metabolisable energy and true metabolisable energy corrected for zero nitrogen retention of some selected cereals in turkey and also In ovo and early post hatch feeding of honey solution on liveability and performance of turkey poults. She is a Registered Animal Scientist and a member of Nigeria Institute of Animal Science (NIAS), Animal Science Association of Nigeria (ASAN), Nigerian Society for Animal Production (NSAP), Ghana Society for Animal Production (GSAP, British Society of Animal Science, UK (BSAS) and International Association of Agricultural Information Specialists (IAALD) Africa Chapter. Agboola, A.F., Adenekan, O.O, Majolagbe, O.H., Ogunbode, S.M., Ajayi, H.I. and Omidiwura, B.R.O. (2012). Utilisation of Frog (Rana esculanta) Meal as a Replacement for Fish Meal in Broiler Diets. Tropical Animal Production Investigations. Vol. 15. No. 1: 19-25. Agboola, A.F. and Iyayi, E.A. (2013). Ileal Digestibility of Amino Acids in Fish Meal- Based Diets For Broiler Starters Using Regression Technique. Iranian Journal of Applied Animal Science. Vol. 3. No. 4: 719-724. Agboola, A.F., Aroniyo, I., Suberu, S.A. and Adeyemi, W.T. (2014). Dietary Supplementation of Probiotics and Synbiotics on Intestinal Microbial Populations and Gut Morphology of Turkey Poults. African Journal of Livestock Extension. Vol. 14. 13-20. Agboola A.F., Awoyemi, M.O., Inyang, U.O. and Ogunbode, S.M. (2014). Growth Response and Nutrient Digestibility of Broiler Chickens fed Wheat-Based Diets Supplemented with an Exogenous Enzyme. International Journal of Agriculture and Biosciences. Vol. 3. No. 2: 95-101. Agboola, A.F., Odu, O., Omidiwura, B.R.O. and Iyayi, E.A. (2015). Effect of Probiotic, Carbohydrase Enzyme and their Combination on the Performance, Histomorphology and Gut Microbiota in Broilers fed Wheat-Based Diets. American Journal of Experimental Agriculture. Vol. 8. No. 5: 307-319. Agboola, A.F., Omidiwura, B.R.O., Odu, O, Popoola, I.O. and Iyayi, E.A. (2015). Effect of Organic Acid and Probiotic on Performance and Gut Morphology in Broiler Chickens. South African Journal of Animal Science. Vol. 45. No. 5: 494-501. Agboola, A.F., Oke, A.O. and Iyayi, E.A. (2016). Passage Rate of Digesta from Soybean Meal, Wheat Bran and Rice Bran Diets with or without a Multi-Enzyme Supplementation in Broiler Chickens. American Journal of Experimental Agriculture. Vol. 13. No. 1: 1-9. Agboola, A.F., Omidiwura, B.R.O., Ologbosere, E.Y. and Iyayi, E.A. (2016). Determination of Crude Protein and Metabolisable Energy of Japanese Quail (Coturnix coturnix japonica) during Laying Period. Journal of World's Poultry Research. Vol. 6. No. 3: 131-138. Agboola, A.F., Omidiwura, B.R.O. and Olurinola, J.O. (2017). Influence of Four Dietary Oils on Selected Blood Metabolites in Egg-type Chickens. Journal of Agricultural Sciences. Vol. 62. No. 3: 251-263. Agboola, A.F. (2017). Influence of Feeding Toasted Castor Seed Cake Diets on Blood Profile of Weanling Wistar Albino Rats. Nigerian Journal of Animal Production. Vol. 44. No. 3: 238-245. Agboola, A.F. (2017). Assessment of some Serum Biochemical and Haematological Parameters in Blood Samples of Japanese Quails fed Detoxified Jatropha Seed Cake. African Journal of Food, Agriculture, Nutrition and Development, Vol. 17. No. 4: 12614-12627 doi: 10.18697/ajfand.80.16295. My name is Ruben Omari. I have studied a Bachelor’s Degree in Electrical and Electronics Engineering at the Technical University of Kenya (TUK). I successfully completed my studies in October last year (2017) and I am expecting to graduate in the course of this year (2018). During my final year, I specialized in Power System Engineering, also known as Heavy Current Engineering. I have a passion in Research and Innovation. Research is the foundation upon which inventive and innovative ideas are built. Having a great interest in technology and innovations, love for research is, therefore, the way to go. Research does not only involve going for and obtaining the desired data from the targeted respondents. It also involves organizing the obtained data in a manner that conforms to the international research standards. The standards refer to the agreeable referencing styles and methodologies, among other aspects. This is an area where I find AJFAND quite beneficial to my dream. There are two reasons why I find my stay here relevant and beneficial. First, AJFAND adequately broadens the scope of my exposure to research articles. I have the chance to access and read a wide number of research articles from a variety of authors. I also have the opportunity to read the various comments or remarks made by different reviewers over those articles. These put me in a better position to be able to develop a good research paper that conforms to the international standards. In line with this, I am also left equipped with the current information on what is happening around the globe in the field of nutrition, agriculture and development. Knowledge is power, and consequently the wider one is knowledgeable, the more powerful one is. Second, the dream to further my studies is kept alive while working with AJFAND. With the global connectivity found here, I am better placed to know and learn what is new in the technological world. This gives me a chance to make informed decisions regarding the field I intend to pursue in future and how conveniently that can be done. Iron sharpens iron; it is true that the kind of people one spends time with adequately shapes some of the decisions the individual makes in life. The AJFAND team is made of people passionate about scholarly enquiry and, therefore, being part of the team consequently keeps my academic dreams on an active course. In the next five years, the definition of Ruben Omari will be founded on three pillars. The first one is academic pillar. I intend to have undertaken my Master’s degree, preferably in Project Management, Green Energy generation or a related field. I also intend to have studied three short courses, which are AutoCAD with specialty in High Voltage Design, Web Design and Java Script. The second one is Job and Business pillar. I intend to have acquired the necessary ERC (Energy Regulatory Commission) certifications that will allow me to be a certified Electrical contractor. This can enable me to execute both domestic and industrial contracts in addition to my formal employment, should I choose to go that direction. The employment can serve as source of capital to help me acquire the technical requirements such as appropriate engineering tools and equipment. The third one is Motivational pillar. I intend to encourage and share my story with high school boys and girls who come from humble backgrounds like mine. I will make them believe that their future is a product of what they believe in but not their family’s backgrounds. If a son of late cane-cutter can become an engineer, nothing is impossible under the sun. It is just a matter of belief, focus, commitment, hard work and above all trusting upon the Lord. I appreciate the chance granted to me to be part of the AJFAND team and I know that my joining will not be in vain. I believe that even as I learn, I will be of benefit to the team and contribute positively towards the realization of the AJFAND vision. God bless our interactions. Thank you.